If you own a Dreamcast, I'm sure you must have felt like finding a place to hide (or just want to beat that guy up, depends on what kind of a person you are) when your friends started bad-mouthing about how stupid Sega Enterprise is about pushing forward with the DC console to try to stand against the 'big wave' we came to know as 'PS2.' I know I did. If you do fit into the category of otakus I just mentioned, then congratulations! Here is a game which you can truely show off to your friends, be proud of your DC console with your head up high next time you see them! Sakura Wars 3 had been constantly ranked as one among the top three most anticipated video games in Japan for months since the first news about it's release date was made public back in the summer of 2000. Although the release date had been pushed back several times, from the original date as Fall 2000 to March 22nd, 2001; the popularity of ST3 among gamers in Japan, and across the globe only grew even higher as the release date approached. For those of you who are already familiar with the Sakura Wars anime series (OVA and/or the TV series), ST3 is the third installment from the game series that inspired it all. Here is a tiny bit of background on the game itself. 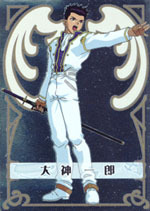 The original Sakura Taisen (ST1) was released in 1996, an answer to the growing insterest in seeing a new kind of game. Fusing together the best of both relationship-adventure and simulation games, the power of anime through the hands of Fujishima Kousuke (creator of Oh! My Goddess) and the latest technology in computer graphics at the time, the first Sakura Taisen was born. 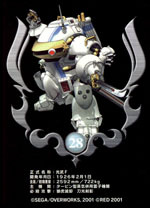 Immediately, Red Company became well known companies among gamers all over Japan followed by an out pouring support for a second title (also giving Sega a much-needed break in a suprising record-breaking sales growth) and so Sakura Taisen 2 was born in 1998 with numerous improvements in the game system and anime sequences it offers, setting yet another sales record for Sega Enterprise, becoming one of Sega's 'flagship' titles. 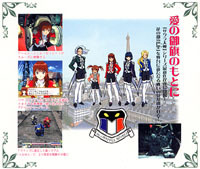 The biggest element that led to its success is the way Sakura Taisen offers a middle ground for the gamers who used to play relationship intensive games such as the Tokimeki Memorial, and those who are die-hard fans of simulation games such as Front Mission, where they can meet, a game that offers relationship adventures based on conversation interactions AND mecha simulations both at the same time. It had been three years since ST2 was released on the Sega Saturn console. After a few delays, Sakura Taisen 3 ~ Pari wa Moeteiru ka ~ finally made its debut on March 22nd, as the closing event to Sega's year-long promotional campaign - "Sakura Project 2000" which included live concerts featuring the voice actresses from the ST games and a remake version of the first two titles customized for the DC console, with the promise that suprises will be waiting for fans who buy the two remakes and ST3. Two limited editions of ST3 were released, one with a customized ST3 VMU unit and the other version was released with a music box, both priced at 9800Yen. The first production release also comes with a small deck of collectible trading cards featuring characters from both ST2 and ST3. The story of Sakura Taisen 3 begins where the story of Sakura Taisen 2 left off. After being promoted to the rank of first lieutenant, Oogami Ichiro of the Japan Imperial Navy was sent off to France to study aboad as a representative of the Japan Ambassy in Paris... only to find out of course, he was sent there not to be just a normal office boy but as the captain of the new found assult team "Pari Kagekidan", against the growing evil forces in Paris. Guess what, this time all the team members are girls too! And with Oogami Ichiro as your alter ego as a player, your job is to solve whatever personal problem our five heroines may face during the course of the game. Sister-in-training at a local church, who is well known for her clumsiness and silly ideals that she should help whoever may (or may not, at times) need her help. Who is also facinated by Japanese cultures. Daughter of the famous Bleumer family who discriminates everybody from foreign countries and those who she consider as peasents. Member of the mobile "Circus of Eurpoe", responsible for magic shows and taking care of the animals before and after the shows. Sometimes work part-time at the market place in order to get a better discount on foods for the animals back in the circus. Likes to refer to herself as the Oogami's "Protector". The biggest criminal in Paris' history. Committed crimes ranging from robberies to destruction of private residences owned by Paris' rich and famous. Total sentence of all her crimes sums up to over 1000 years. A girl who will do anything it takes to reach her goals. Daughter of one of the Japan most famous families, born in Japan but raised in France, homeland of her grandmother. Though she had been living in Parise since she was a child she is a master of many famous Japanese traditional arts, including the traditional believes that she should always follow the words given to her by males. Determined to become a girl who fits the category as a traditional Japanese girl - "Yamato Nadeshiko". Currently living in Glycine Bleumer's household, who is also her life long friend. Note: Hanabi is also the most popular female character in the game in most of the polls across the net and on several of the gaming magazines in Japan, even before the release of the game itself. As Oogami Ichiro, the player will get the chance to get into the minds of these girls, and to help them overcome whatever problem they may have in life or as a member of the team. Similar to its two predecessors, the story of ST3 is divided into episodes, each with relationship/adventure parts and simulation battles. The improvements in ST3 when compared to ST1 and ST2 can be summed up into three general areas - animations, game systems and omakes ('extras'). With the combined effort of a team that is almost as big as that of the team that created Shenmue Chapter One, Sakura Wars 3 features three different opening anime sequences, one for each disc, on top of a full library of anime style clips inserted throughout the game. High quality anime works that can match-up to some of the computer-aided anime series in Japan today, if not better. And as part of the tradition of the game, there is a full anime ending sequence for each of the female characters in ST3. Anime style artworks have also been sized up to fit the full screen instead of the 'window' type artworks as seen in the previous two titles that came before. Added complexity of each character's personality creates a more life-like atmosphere for players to interact with others. Unlike in the previous titles, it is harder than ever for players to please everybody at the same time. As an example, an answer to a question that may please Glycine Bleumer often results in a bad impression on Lobelia who possesses more or less a personality that goes toward the opposite direction. Another addition to the relationship system is that player can also gain points with characters outside the team, which may trigger certain special events at times and improve or disable the player's ability in battles depends on the type of responcw the player may have choosen in the past. Besides the classic "LIPS" timing answer system introduced in ST2, several new systems had also been created for ST3 to enhance the player's gaming experience. They include the "Analoge LIPS" where players can choose a certain level of 'volume' as their answer, how loud, passionate, strong the players words will be in their responds, the "Click LIPS" where players can choose various areas on the screen to check on or click before the timer runs out. And most certainly, as one of the flagship titles for Dreamcast, the VMU unit is put to full use in ST3. Except being a simple memory unit, the small display screen on the VMU will always stay on once the console is turned on, with neat graphics such as the ST3 main title, 'Now Loading', the logo of the "Les Chattes Noires" (French that translate to 'The Black Cats') the biggest live show theatre where Oogami will get his new job as the ticket-clipper, again. And when special messages is sent by the owner of Les Chattes Noires, the player will be able to view the message on the small screen immediately. But, best of all, a small omake game is also included inside ST3 where players can download onto the VMU to play while on the go which features all of the female characters in the game as the player's opponent. The main improvement in the simulation portion of the game is the freedom to move wherever you want. Instead of the old school square grid, players can move their units around without the grid, up, down, over obsticles. Another improvement is the combo moves. In ST1 and ST2, only girls with the highest affection points can use combo moves with the players unit, but in ST3, any two units can use combo attacks if the right requirements are met, not only between Oogami and the female characters, but among the girls themselves as well. In addition, there are also counter-attack moves that can be initiated by friendly units to stop enemy attacks in mid-way. Unlike ST1 and ST2, players can now enjoy the omake section of ST3 even before they finish the game in full. Besides the traditional mini games from each of the female characters, several other games are also added, some will remain hidden until the player breaks the records in one or two of the unlocked mini-games. One of such is the free style fighting game "Koubu Knuckles" that can be obtained after finishing all three levels of the game quiz, it's a mini-game where players get to fight enemy units in real-time (without having to go through the simulation style system) even up to the giantic enemy boss units previously seen in the game story itself. 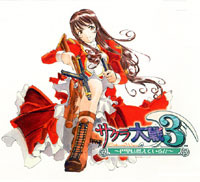 For those lucky fans who has an ISP connection in Japan, Sakura Taisen 3 also offers a link to their official homepage which users can log-on via the built-in program included in the omake section of the game to obtain the latest news about the game, products (figures, puzzles, etc), even downloading extra drama files from the ST3 Japan website. Most of the drama files are free for download but some require the user to have a Dreamcast DreamPoints account with them before they can download the files. Sadly, this service is only valid for Japan residents.